Streamable recordings and scores linked in the "music" section, where possible. Multifaceted violinist Josh Modney (Wet Ink Ensemble, ICE, formerly of Mivos Quartet) releases an ambitious 3 CD set highlighting his various arenas of virtuosity, from premiere recordings of works written for him by Kate Soper, Eric Wubbels, Taylor Brook, and Sam Pluta, to his Just Intonation interpretation of Bach's luminous Chaconne, to a series of recordings of his laser focused improvisations, both his own material and a work by the eminent Anthony Braxton. Modney is truly a musician's musician, approaching everything he does with precision, commitment, and expression. 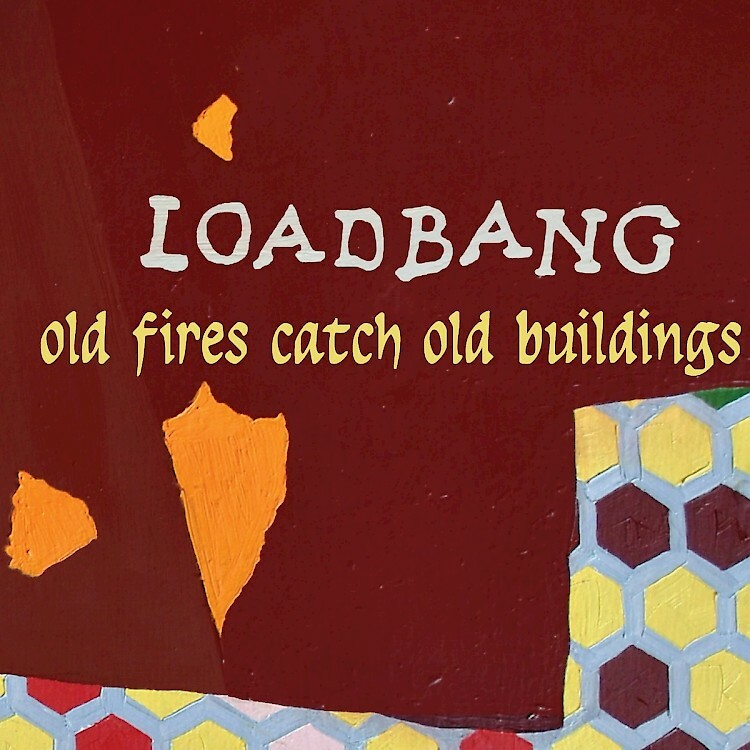 old fires catch old buildings is the third full-length album from ‘formidable new-music force’ loadbang, a quartet comprised of trumpet, trombone, bass clarinet, and baritone voice. It features works by Taylor Brook, Reiko Füting, Paula Matthusen, Angélica Negrón, Scott Wollschleger and loadbang’s own Jeffrey Gavett and William Lang. Much of the music on the record deals with language and communication, and the ways in which those natural human capabilities can break down or flourish in unexpected ways. In writing this music I used a mixture of traditional composition methods of structuring the music with various harmonies and progressions along with more free writing, collage techniques, and algorithmic composition. The tuning of the virtual pianos extends Harry Partch’s conception of the over-tonality. This album also exists as a six-channel surround sound concert/installation format. Ecstatic Music: TAK Ensemble plays Taylor Brook is the product of years of collaboration between Brook and TAK, and captures the range of Brook’s compositional voice, as well as TAK’s dedication to bold, highly communicative new music. The Mivos Quartet's newest release features three recent works for string quartet by US-based composers Taylor Brook, Andrew Greenwald, and Kate Soper. Literary elements inspired each work on this album, as the composers drew from figures such as Jorge Luis Borges, the American minimalist artist Carl Andre, and Alfred, Lord Tennyson. Give My Regards to 116th Street is Belgian guitarist Kobe Van Cauwenberghe’s humble homage to the city where he spent his formative years as a musician. Music from a number of New York based composers features heavily on this album. From the various collisions and malfunctions of Alex Mincek’s Strata, through the clicking rubbing, scraping and popping of Rama Gottfried’s Spindle, to Christopher Trapani’s association of the guitar and various american folk instruments in Really Coming Down, this album explores the different musical approaches of young American composers of Kobe’s generation. À chacun sa miniature is the first disc release by the Bozzini Quartet dedicated entirely to emerging artists. This collection of miniatures was written in 2011 to celebrate the Bozzini Quartet’s studio-lab for the next generation, the Composer’s Kitchen.